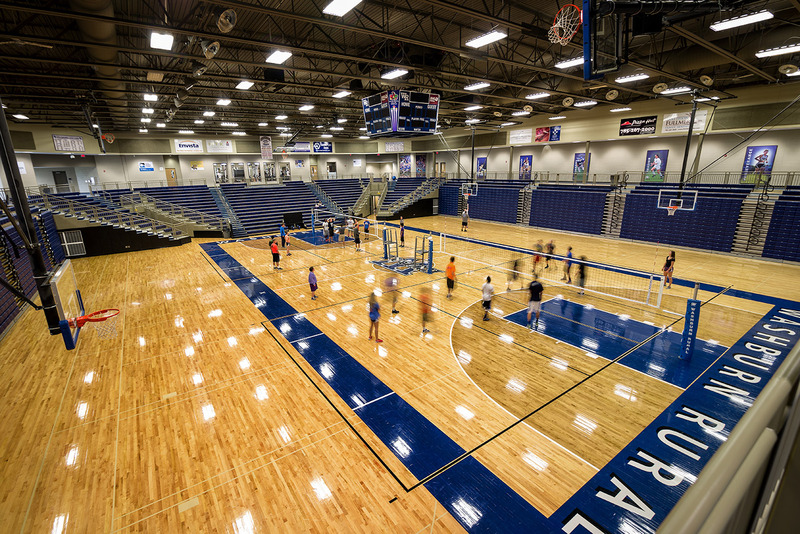 The Washburn Rural Gymnasium Expansion project modernizes the growing District’s indoor athletic and physical education facilities to meet the academic needs and athletic growth of the district. 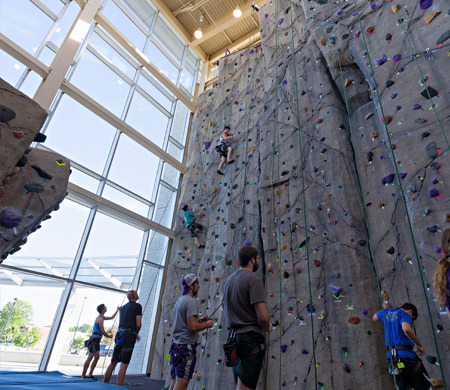 The facility is designed to expand the facility’s court space to four and replace the severely undersized wrestling, weights, fitness, dance, baseball and cheer spaces. 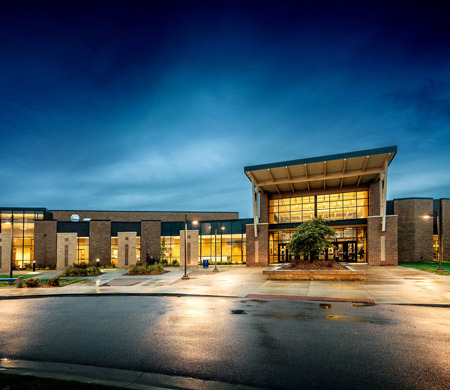 The expansion includes a multi-use athletic facility, which features a 2,500 seat top loading gym, a 10 lap, 1 mile, 4-lane running track looping the top of the gym, athletic offices and a weight room overlooking the gym floor below. 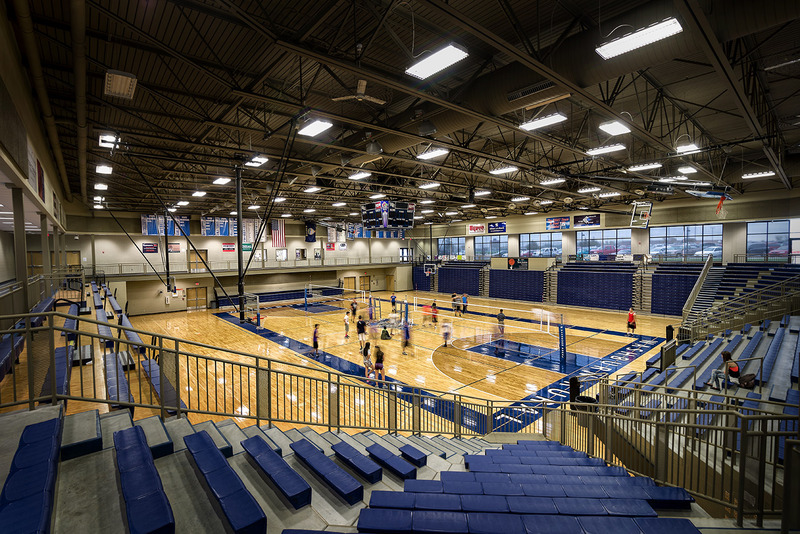 The two level design provides an arena atmosphere with top down seating access to courts. 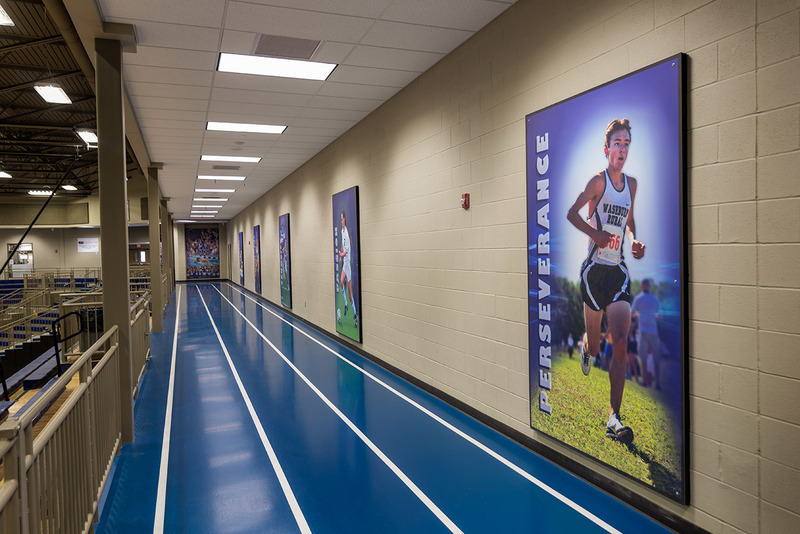 Wrestling and locker rooms are on the lower level. 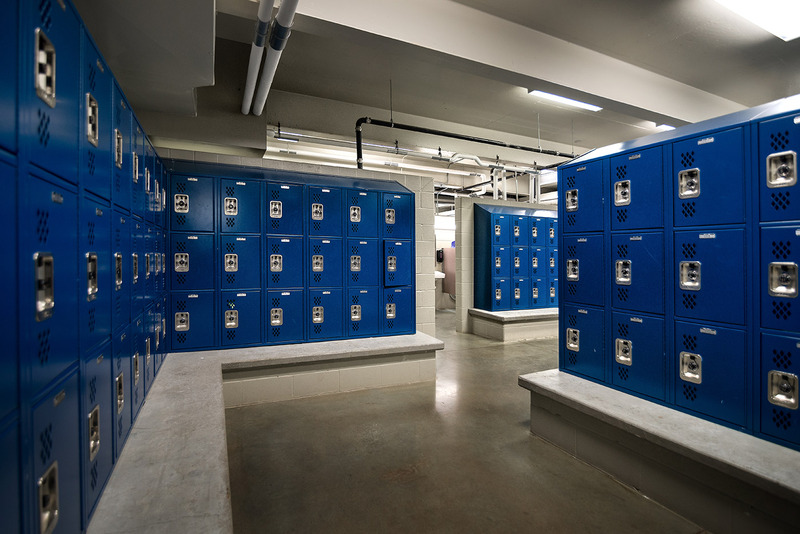 The locker rooms and wrestling rooms are designated FEMA storm shelters, made possible by the subterranean lower level design and FEMA Grant funding. 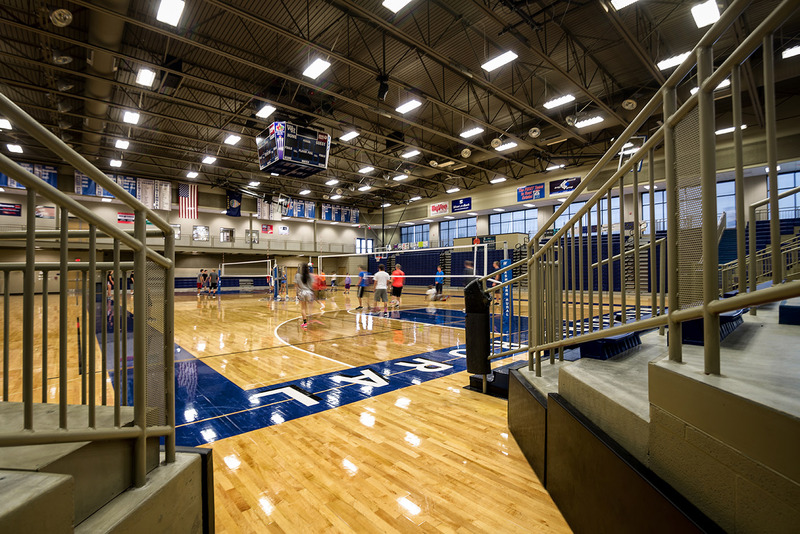 Furthermore, the multi-court, multi-activity gymnasium features a high performance wood floor sized to accommodate two basketball courts and two competition volleyball courts with ceiling suspended standards. 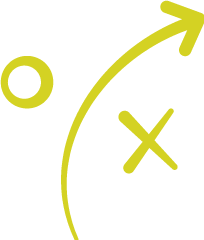 Additional spaces in the lower level include officials dressing, a laundry room, training rooms and abundant athletic storage. 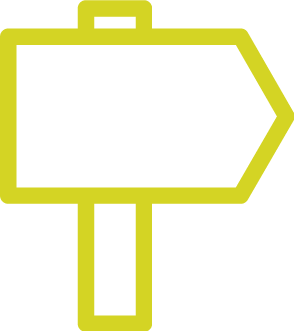 Additionally, the facility includes the latest in technology & athletic equipment to instruct, train, and manage exercise, fitness and facility. 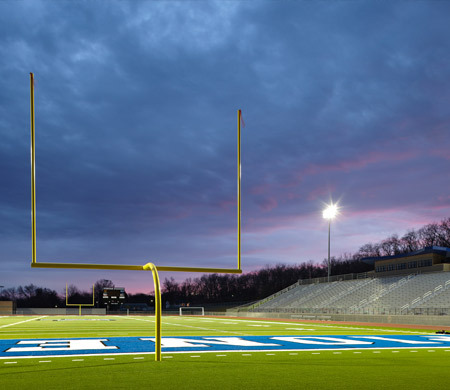 The project includes renovations to the exiting activity facilities for additional baseball training, dance and cheer training, and aerobic activities.